There are hundreds of islands located throughout the gorgeous country of Thailand, so it can be a bit of a challenge on deciding which to visit first. Thankfully, G Adventures breaks down the best of the best. 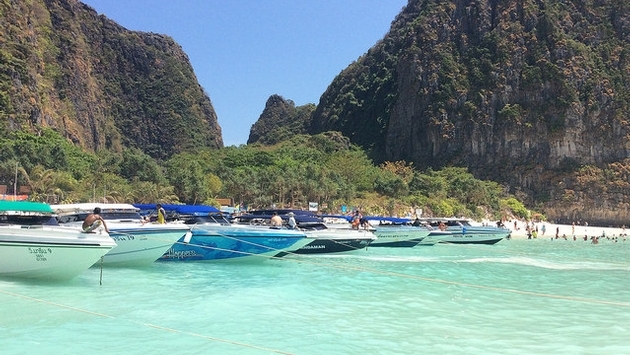 Easily accessible and hands down one of the most beautiful islands in the world, Koh Phi Phi will draw a big crowd of tourists, but there is plenty to do for everyone thanks to its breathtaking beaches and picturesque karsts. While not the ideal island for beaches and swimming, Koh Klang will give travelers a great look at a traditional fishing community and the interactions among the locals who rely on the sea around them. If you’d prefer a traditional island homestay over a hotel, then this is the perfect place for you. Located off the west coast of Thailand, Koh Lanta is home to white-sand beaches and has “a mountainous interior cloaked in jungle so when you tire of sunning yourself seaside, you can rent a bike and head inland,” per G Adventures blogger Daniel Sendecki. The second largest island in Thailand, Koh Chang is a quiet and peaceful place to relax and unwind. It’s becoming more of a tourist spot, but still not quite as big as Phuket or other islands in Thailand, so it has that wonderful laid back appeal. With spectacular views and arguably the best scuba diving in the Gulf of Thailand, Koh Tao is an ideal destination for those who love adventure. In addition to the cheap scuba diving, travelers can rock climb and hike in relatively much more quiet and less developed areas, which makes for better exploring for all! For more information on Thailand, check out G Adventures’ blog here.